Polyester resin incorporating flexible additives to provide a low styrene emission, fast wet out roofing resin. This resin is able to withstand thermal expansions, contractions & cures quickly to give a strong, durable Fiberglass flat roof. Lloyds Approved Resin suitable for marine use, boat repair and maintenance. This resin is also WRAS Approved. 2% Catalyst is supplied with this Resin. The Roofing Resin offered by FibreGlassDirect contains additional flexible additives. These flexible additives aid the fibreglass roof to withstand thermal contractions and expansions caused by the weather. It is suitable for use on flat or pitched roofs. This low viscosity, low styrene emission polyester resin allows fast wet out of Fibreglass mat with minimal environmental impact. 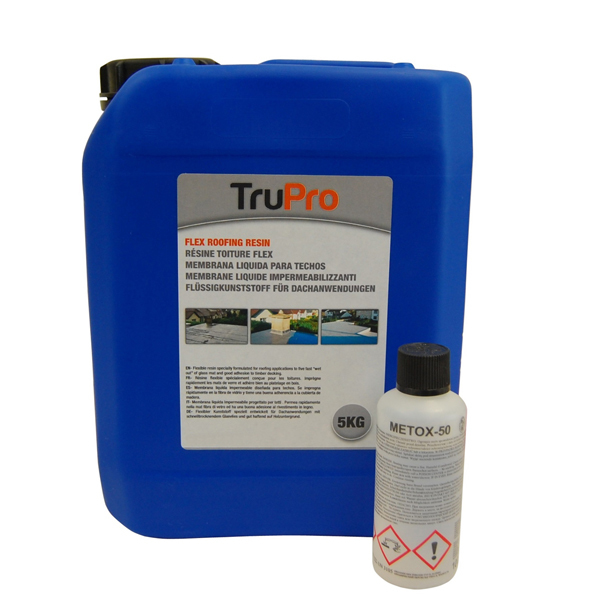 When combined with Roofing Topcoat it will give a Fire Retardant Waterproof coating.